Not everyone is cut out to be a Real Housewife and there’s nothing wrong with that. In all honesty, it might even be a compliment. 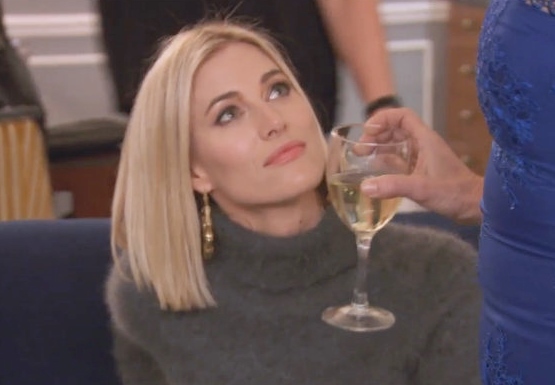 Sometimes Bravo casts women who are just way too normal to be on reality TV. There’s nothing wrong with them as humans, but they are just not fit to expose their lives on reality television. I have no idea why some of these people were cast, but it happened and we all had to sit through it. Most of the Real Housewives ladies are amazing, then there are some that were just way too boring. We’re just days away from the new season of The Real Housewives of Orange County! Last night Housewives past and present gathered together to celebrate the premiere and also the 10 year anniversary of the show! 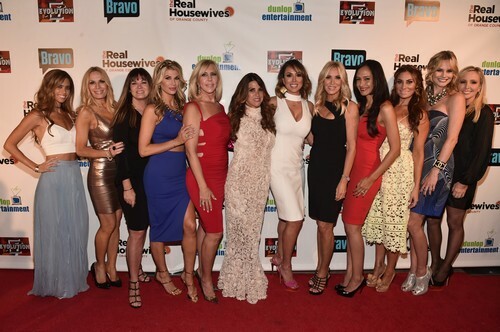 Nearly every past RHOC cast member turned out for the big event and we have the photos for you! Some blasts from the past included: Peggy Tanous, Lauri Peterson, Jo De La Rosa and more! And of course the current stars were in attendance, too: Vicki Gunvalson, Megan King Edmonds, Heather Dubrow, Shannon Beador and the rest! See the party photos in the gallery below! Peggy Tanous Says Real Housewives Of Orange County Wants Her Back! Claims She Got Heather Dubrow Hired! Anyone remember Peggy Tanous? Kinda crazy, kooky friend of Alexis Bellino‘s and one-season Real Housewives Of Orange County star? Well, she’s claiming producers have asked her to return! Peggy previously stated that she left the show because it was too negative – and it destroyed her friendship with Alexis when it emerged that Peggy once dated (and according Alexis “stalked”) Jim Bellino. Peggy has since been trying to get another reality show off the ground – she’s also declared bankruptcy and dealt with foreclosure!